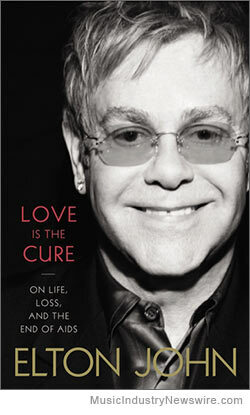 REVIEW: Written from the heart, Elton John’s “Love is the Cure” will confound those expecting to read about his musical career but in discussing AIDS and the work of foundations seeking to eradicate the disease, John has created a valuable document. Perplexing. That’s the word to describe Love is the Cure, the short book or longish magazine article (it’s about 50,000 words) from musician Elton John. Not that the brevity is a problem as long as you don’t expect the book to last through your whole weekend. As for the twenty-eight buck list price, don’t sweat that, either, because book sales will benefit the Elton John AIDS Foundation (EJAF), whose efforts form the primary impetus for the work. Using governmental reports, anecdotal evidence, and information from many healthcare foundations and coalitions, John demonstrates that we are much closer than we thought to winning the fight against HIV/AIDS (acquired immune deficiency syndrome). And yet, we are still falling short. Why? Ignorance, prejudice, fear, hatred, condescension, and evil. More on the evil later. Okay, let’s make certain that the positives are up front. The book is earnest and well-intended. The stories are heartfelt. The call-to-action is important. And John’s presentation of facts about the twin contagion of AIDS and HIV is quite good. Some historical perspective is given, both from the standpoint of the effects of AIDS on people in countries all over the globe, and in terms of illuminating the many important steps that are being taken to prevent, cure, and ultimately eradicate the disease. Many of the stories will make you gasp or weep. John begins the book with a chapter on Ryan White (http://hab.hrsa.gov/abouthab/ryanwhite.html) the thirteen-year-old hemophiliac who received tainted blood and was catapulted into the public consciousness as he courageously battled to keep attending school, keep his part-time job, keep his friends, and keep his faith. The horrors to which he was subjected by people in his community will make you livid. John worked with Ryan and his family during the final five years of the boy’s life as the nation slowly and painfully (and often kicking and screaming) began to understand and accept some of the basic facts about the illness. Ryan died in 1990 just a few months prior to Congress passing the Ryan White CARE Act (Comprehensive AIDS Resources Emergency), something he worked toward with selflessness and dignity. He would have been pleased to see that this legislation has been reauthorized in 1996, 2000, 2006, and 2009. … requires us to educate ourselves about what governments and religious organizations are doing — and not doing — in our names. It requires us to embrace all those who need and deserve our compassion. . . . In other words, ending AIDS requires love, and lots of it. And the best way to engender love is to foster dialogue. We can only love one another if we understand one another. That is why I have written this book. And I hope that you will talk about what you have read here with others. When AIDS is an uncomfortable and untouchable subject, the disease spreads. But when we bring it to the fore, when we aren’t afraid to confront it, information spreads. Compassion spreads. The cure spreads. While bigots such as the famous preacher Jerry Falwell and the American politician Jess Helms were spreading the hateful message that AIDS was a curse from God against gays, here was a dying teenager [Ryan White] and his mother, thrust into the spotlight, standing shoulder-to-shoulder with all people living with HIV/AIDS. Conservative William F. Buckley suggested tattooing everyone with AIDS. He wanted to brand the forearm of IV drug users and the buttocks of homosexuals. Conservative members of Congress have successfully blocked federal funding for needle exchange programs for two decades, despite the fact that studies by government health agencies, including the National Institutes of Health, have found that these programs really work. Sadly, Pope John Paul II was horrifically rigid. Just a few months after Ryan White died, the pope traveled to Africa, where he emphasized, even while talking about the need to combat AIDS, that contraception was a sin. It is not at all an exaggeration to say that his words were deadly. I hold him personally responsible for all those who died as a result of heeding his advice, or who couldn’t access condoms due to his ill-founded and immoral decree. I’ve said before that his words resulted in genocide, and I stand by that statement. As John notes, these people “and their ilk used their power to incite hatred,” observing what all decent people feel: that such behavior was “truly sickening.” But we shouldn’t be surprised, for such is the conservative mind-set with its reliance on ignorance and the politics of odium. We already have the tools and tactics that have been proven by research and science to halt the spread of the virus: condoms, health education, and needle exchange programs. Yes conservative religious and political leaders continue to stand in the way of implementing what we know for a hard fact will save millions upon millions of lives. Yes, but Elton, dear Elton (he addresses us as “dear reader” at one point), conservatives in any guise do not care about people, disease, or death; they care about profits. Mostly corporate profits, but either way, theirs is an anti-humanity perspective. That’s why they are conservatives. His writing style is straightforward when it should soar. No co-writer credit is given. No “as told to” credit, either. John wrote it with passion but is a far cry from literature. Long passages seem dictated, not composed. The repetition of ideas, phrases, and words would be bothersome if the cause was not so worthwhile. At one point in the book, the word “stigma” pops up four times in 33 words. He mentions on page 51 that he considers himself lucky he didn’t’ contract HIV; it’s an important point for him, which you know because he mentions it again on page 66. A little editing help would have been nice on that as well as his references to his own addiction problems which are on page 14, 20, 30, 51, 53, 55, 56-63, 73, and 82. HIV/AIDS is a disease that not only attacks the human immune system; it attacks the human social system. It infects our civic institutions with fear, our communities with hate, our corporations with greed, our churches and synagogues and mosques with loathing. There is no medicine, no creation of science, that will inoculate us from the social afflictions. And that is why the cure for AIDS is a matter of changing hearts and educating minds. The world-famous get mentioned and/or appear in the more than two dozen color photos of people involved in EJAF and other anti-AIDS efforts, including Princess Diana, Freddie Mercury, Elizabeth Taylor, Stevie Wonder, and Bill Clinton (who blurbed the book on the back cover). Occasionally, the trappings of wealth leap out at you in ways John probably didn’t intend. You really dread it when a paragraph begins “That’s why I have a chapel in my home in Windsor.” And the lovely cover photograph by Deborah Anderson miraculously removes a good twenty pounds from John, something that is readily apparent when looking at any of the other photos. I’m just saying. The blame for so much death and suffering stems directly from the idiocy, panic, hatred, and close-mindedness of government and religious leaders throughout the US and the world. But you don’t have to succumb to their perfidy. Together, we can act. Buying the book is a step in the right direction. Writing your congressperson is another. And then, as a last resort, we might try what he’s talking about in the title. Article is Copr. 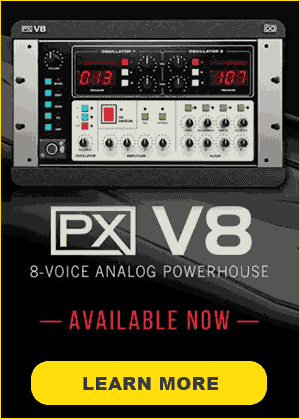 © 2012 by John Scott G, and originally published on MusicIndustryNewswire-dot-com before the site was revamped as MuseWire.com in March 2015 – all commercial and reprint rights reserved. No fee or other consideration was paid to JSG by the book publisher, author(s), agent or other entity, related to the composition of this original article.